The company’s principals, Joe Garner and Jeff Johnson have more than 30 years combined construction experience that results in a consistent ability to deliver projects under budget and on time. Garner Johnson’s working principle is a simple truth most developers and clients struggle with: the ability to get a site or concept up and running as quick as possible. The ever changing market place demands that businesses stay ahead of their competition. Garner Johnson constantly reviews all issues and factors to increase the speed of the project while maintaining the highest quality. We can work with agents and adjusters to get your project moving fast and efficiently. Joe Garner was the founding principal of Garner General Contracting, LLC in 2004 and reorganized as Garner Johnson in 2007. Joe has extensive commercial construction experience with other companies prior to starting his own. 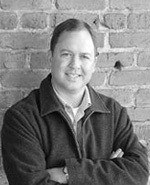 He spent six years working for Alabama-based Caddell Construction Co. where he was involved in numerous renovation projects including the South Carolina Statehouse and federal courthouse in Montgomery, AL as well as new construction of a federal courthouse in Columbia, a maximum-security prison in Texas, and George Bush International Airport in Houston. Joe is a graduate of Clemson University, where he earned a bachelor’s degree in construction science and management. Prior to merging with Joe Garner to form Garner Johnson in 2007, Jeff was an Account Executive for eleven years with the Baltimore-based Allegis Group, the largest privately owned placement firm in the United States. His focus was on the management and coordination of skilled trade labor in the construction industries. 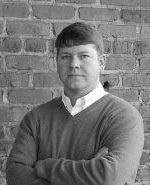 Jeff participated in commercial, industrial and residential projects in Birmingham, Greenville, Columbia, Spartanburg, Anderson and Charleston. His clients were involved in projects including CU-ICAR, Reedy River development, Walgreens Distribution Center, Eastman Chemical and the BMW expansion amongst many others. Jeff is a graduate of The Citadel, where he earned a bachelor’s degree in business. His first experience in construction was working for a local home builder in Charleston during the summers. For more information, please review the Frequently Asked Questions (FAQ) page or click the button to contact us.